The growing share of intermittent and partly predictable renewable energy sources (RES) requires a more flexible operation of the power system. Flexibility is a key to maximize the utilization of RES, while minimizing the negative impact of their associated variability and uncertainty. An effective way of increasing system flexibility is the integration of price-responsive microgrids. This project aims to tackle the first challenge of this call by developing a full-scale microgrid that consists of distributed generators, both renewable and controllable, storage units and flexible loads. A real-life microgrid may perform arbitrage, provide flexibility thus increasing the utilization of RES, take part in corrective actions, provide voltage support, and defer investments in power lines and (distributed) generation. A structure of the local, distribution-level market will be defined and demonstrated within the project. 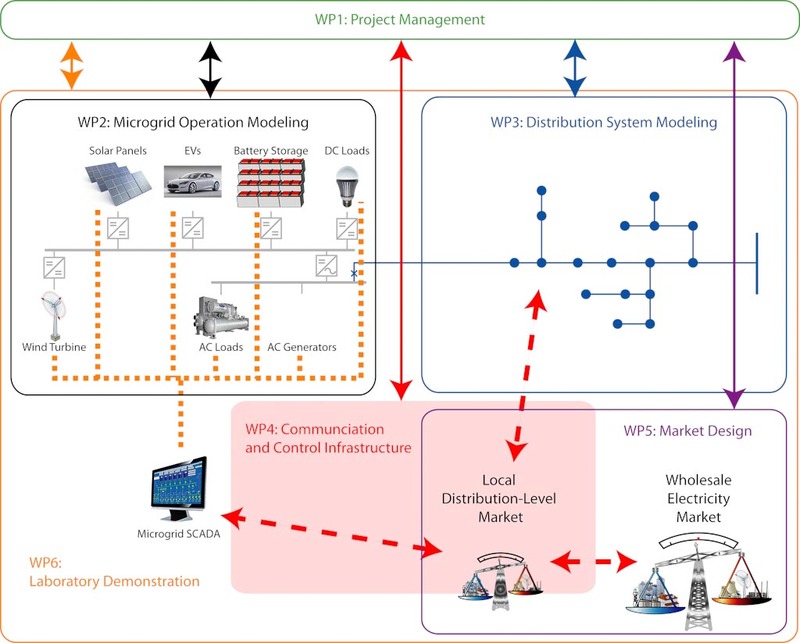 The complex interactions between the microgrid, distribution network, transmission network, wholesale electricity market and local distribution level market will be investigated and a viable operation mechanism will be proposed. KONČAR Power Plant and Electric Traction Engineering Inc.
Croatian Power Utility - HEP Inc. Furthering the pro-active role of consumers by the means of microgrids. 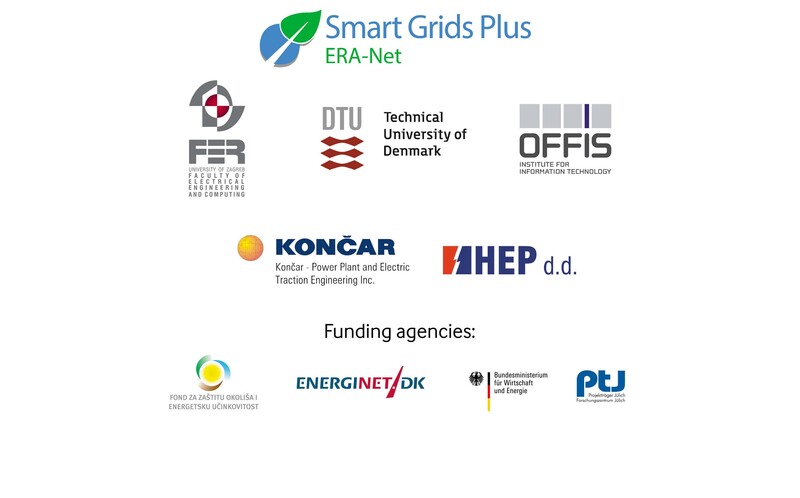 Developing methodological expertise for the optimal operation of distribution networks under a smart-grid paradigm. Building a decision support tool for DSOs and aggregators to efficiently interact with the wholesale energy and ancillary service markets and allocate local resources at the distribution level on both daily and real-time basis. Demonstrating the concept of “local markets” for maximizing the performance of microgrids and distribution grids within the laboratory environment. Assessing the prospective social, technical and economic benefits derived from the actual implementation of these concepts and tools.